Yep, they finally did it! 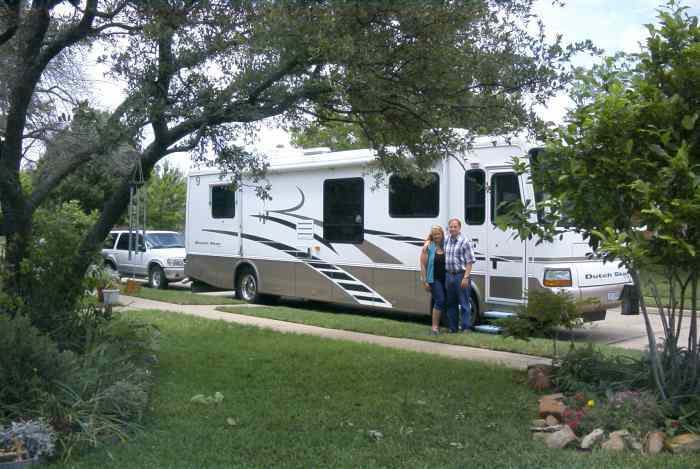 The Wallners got that RV they've been talking about for ever and ever. They christened it "Dutchy". The little white Ford Explorer is towed behind "Dutchy" to use for those quick side trips, etc. As you can see, Dutchy is a pretty good sized vehicle. Hmmm, come to think of it, I've been in some towns that weren't much larger than Dutchy! 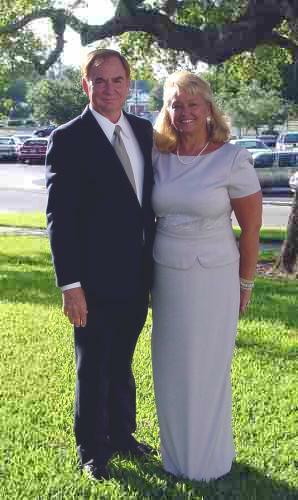 Jim and Connie Wallner were invited to a May wedding in Florida, so they decided to make a vacation out of it. 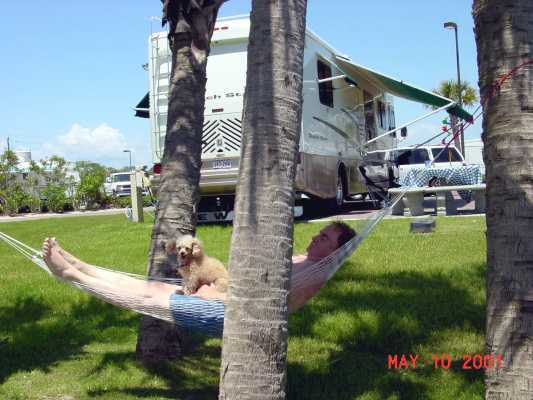 They made it all the way down to Key West before starting back for home. Jim sent this picture of them at the wedding. They clean up right nice don't they? Jim looks like he's taking to this retirement and RV living pretty well. Those palm trees don't seem to be giving much shade though! 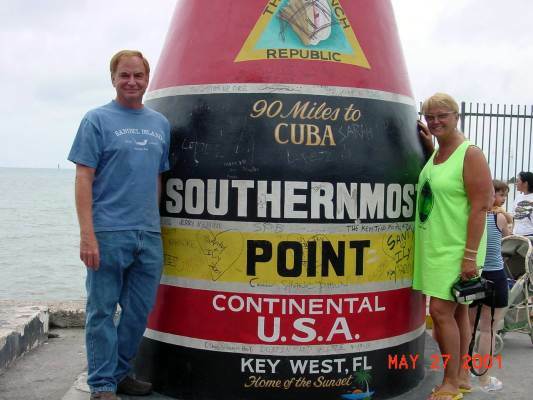 They made it all the way to Key West, and sent this photo as proof. 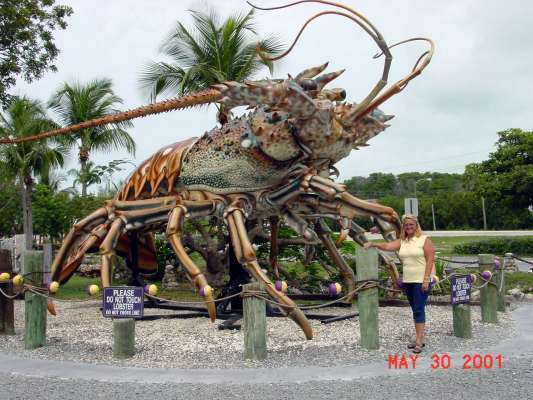 Connie found the true mother of all lobsters. I believe that one is big enough to feed her and us too! 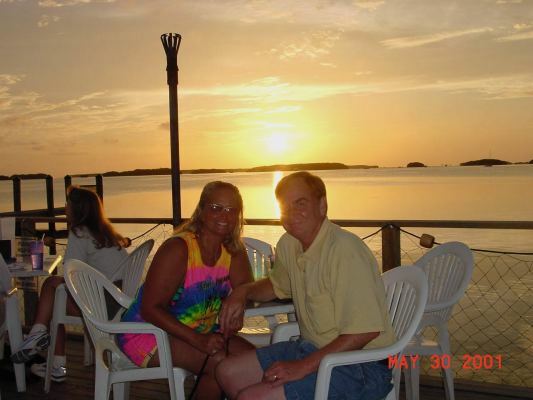 They found a great place to have dinner and watch the sunset on Long Key. 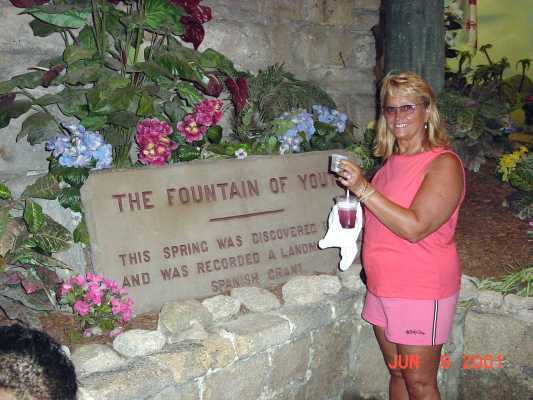 While in Florida, they stopped by the Fountain of Youth and tried a drink of the water. I was disappointed that she didn't bring any water back to me! According to Connie, it didn't taste very good, and she really doesn't feel any younger.